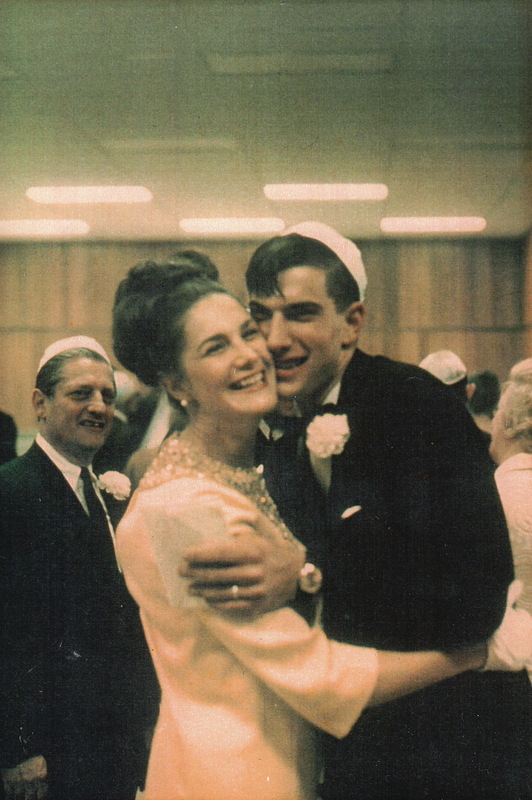 Above is an image of three individuals, the doting father, Abe Levison, (lost at the age of 69 to a massive stroke) looking fondly on at his daughter, Sheila Levison Feinknopf (lost at age of 57 to Breast Cancer) hugging her brother, Marc Levison (lost last year at the age of 63 to ALS: the story of his battle) at Marc’s wedding. These three people represent three individuals who changed the world with their smiles, positive outlook and warmth. They also represent my Grandfather, my Mother & my Uncle and, they were all one’s we lost too soon. This Sunday, April 17th, is the 15 year anniversary of my mother’s passing to Breast Cancer after a three year battle with this dreadful disease. In her lifetime she touched many and her gift business, “Hugs & Kisses”, embraced the optimistic outlook and zeal to spread love to those around. At her funeral, over 1,000 people were in attendance. A touching tribute to how many people she touched with her huge heart that her body could barely contain. These three people touched many lives and were all taken from all of us much too soon. The only solace in their loss is the role that these three individual’s presence plays is in my life daily. In essence, their loss makes them all the more present. Quite the blessing to be the son, grandson and nephew to three such special people and also a special legacy to carry on. What we put out into the world is our gift and we do not know what tomorrow will bring. May we all live long happy lives but if ours are taken from us before our time, as the three above, may we leave a legacy of love.